Come and join the team at Dales Butchers! 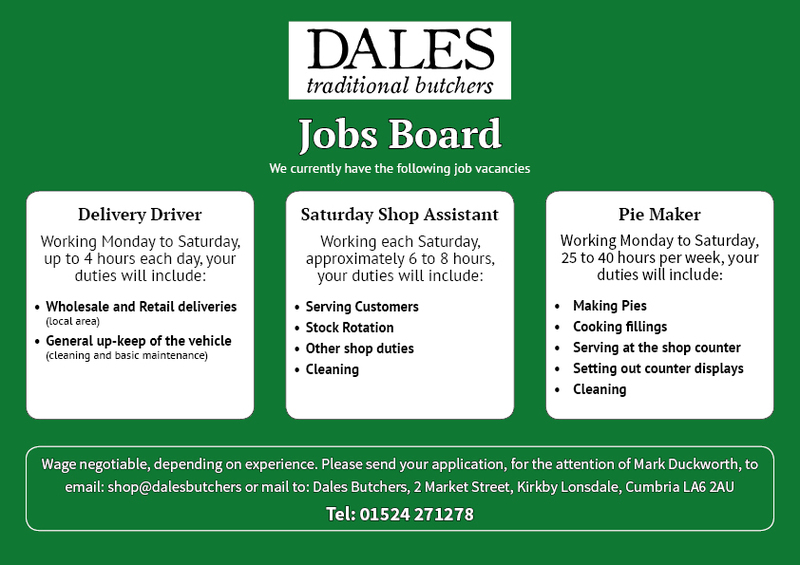 We currently have a few jobs vacancies at Dales Butchers. If you’re hard working, conscientious and reliable, and you’d like to join the team, please get in touch!